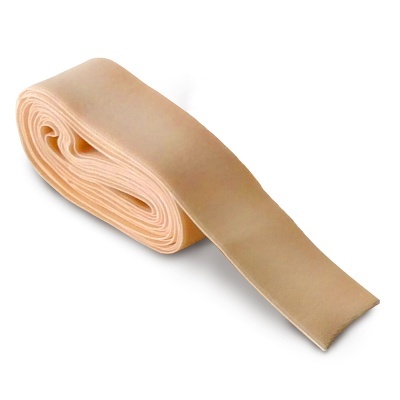 Professional quality stretch ribbon from Pillows for Pointes, made of a Nylon/Spandex blend. Measures 7/8" wide and 2.5 yards long. Also available by the roll here.